Correspondence is a collection of pieces integrating photography with traditional and contemporary textile art techniques, currently on display at the Marta Hewett Gallery in Cincinnati, Ohio. 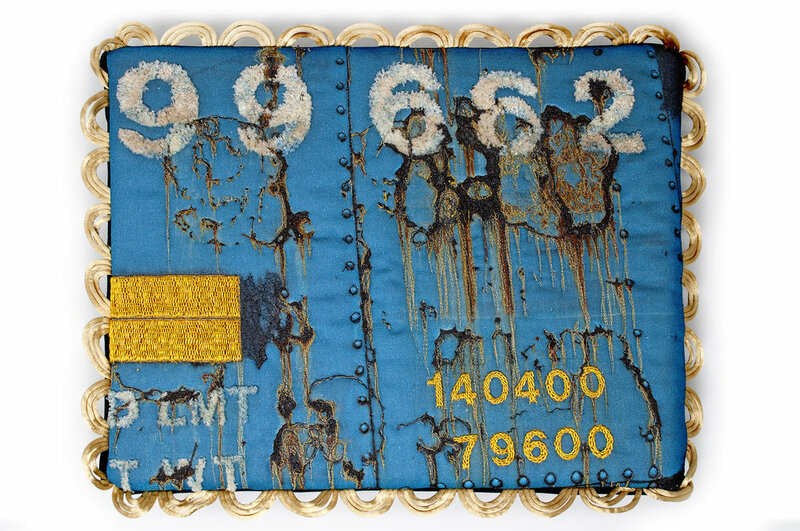 From the artist: "Correspondence explores surfaces and the messages they carry. 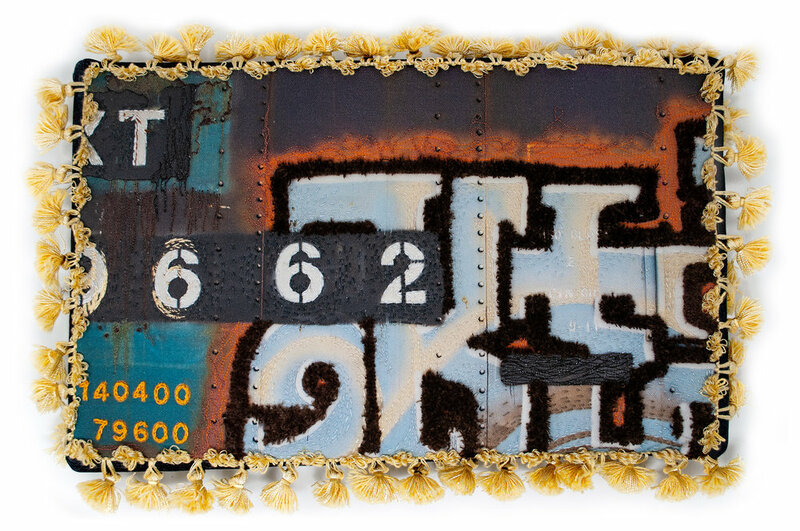 The side of a boxcar contains meaning: layers of rust, paint and graffiti from across the country speak to us about identity, community, mortality and profanity. In this collection I dig deep into the surface and bring these messages forward while adding yet another layer of correspondence—my own."